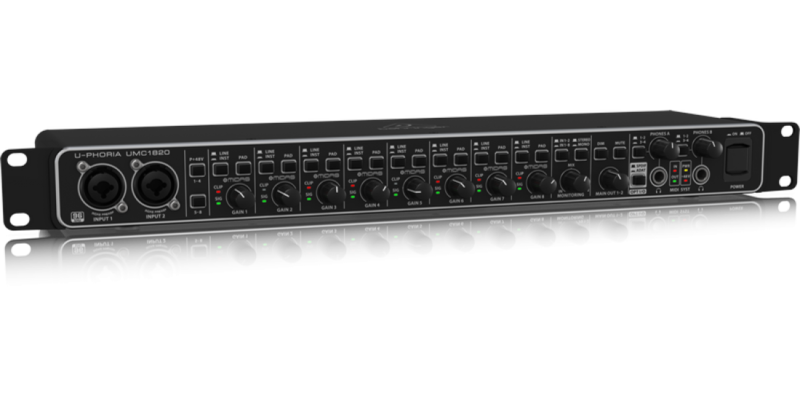 The U-PHORIA UMC1820 from Behringer is a USB 2.0 audio/MIDI interface featuring the versatility of 18 inputs and 20 outputs. 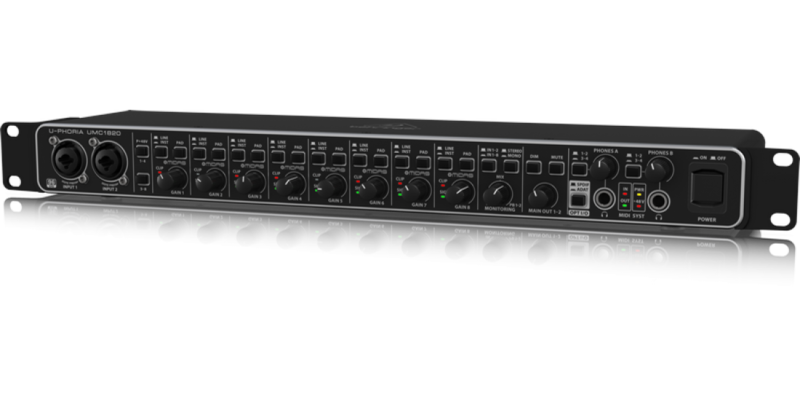 Capable of running at 24-bit/96 kHz resolution, the unit provides connectivity for microphones, guitars, keyboards and MIDI devices. 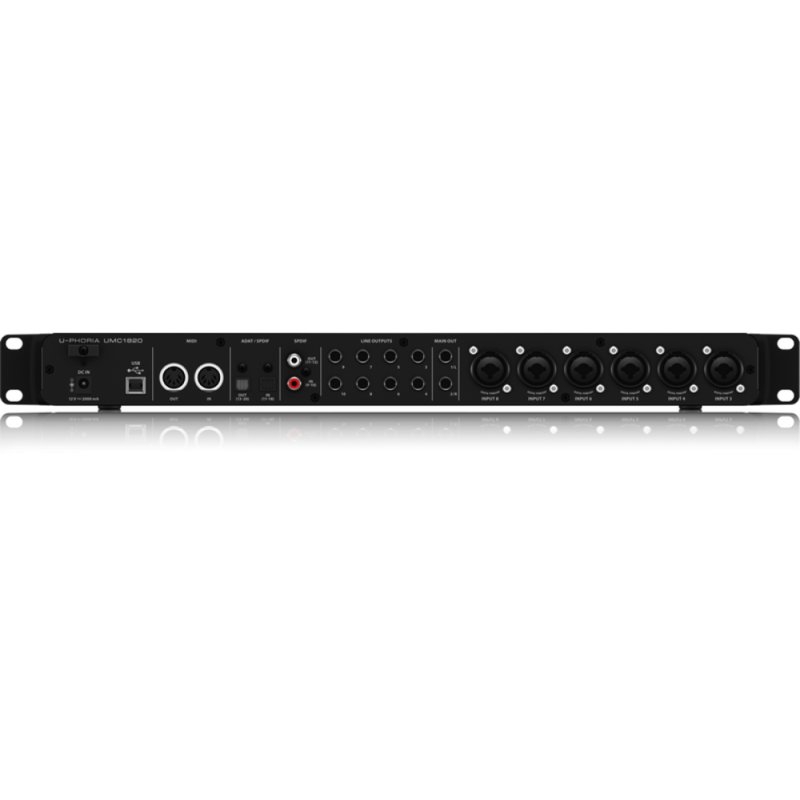 Eight MIDAS-designed microphone preamps can supply 48V phantom power for use with condenser microphones. 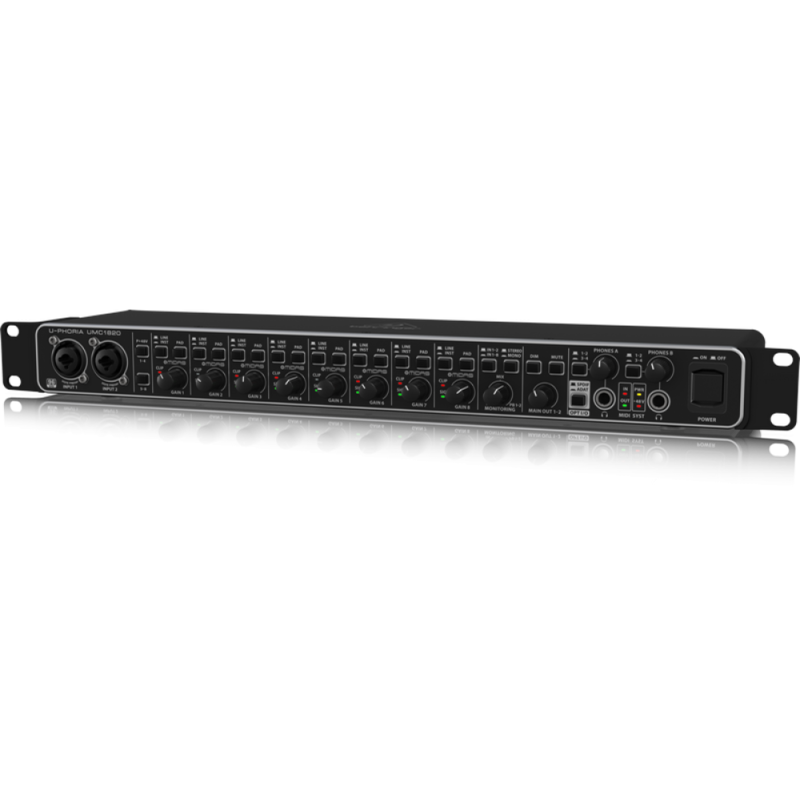 Aside from the eight XLR/TRS combo connectors, the interface also includes a S/PDIF coaxial input and output, as well as ADAT optical I/Os supporting both S/PDIF and S/MUX operation. 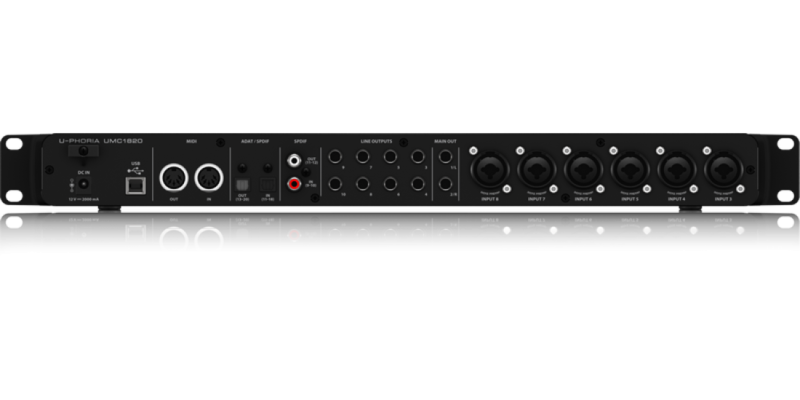 MIDI input and output is available, along with USB MIDI for adding a control surface to control your DAW. And speaking of DAWs, the unit is compatible with most popular recording software for Mac OS X and Windows. 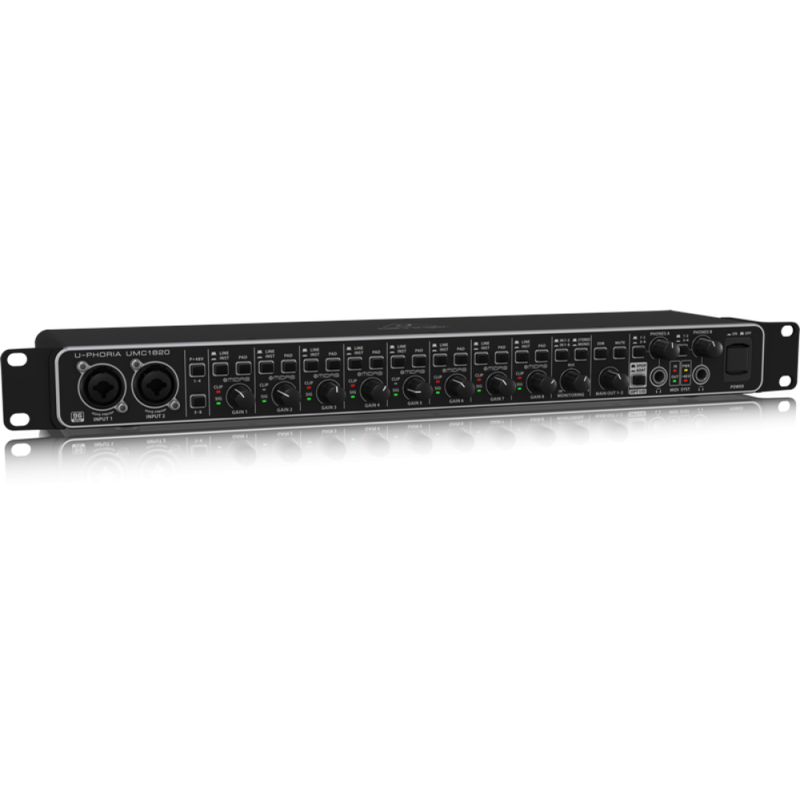 A mix control allows zero-latency direct monitoring to aid performances without any delay or lag in the returning signal. A pair of headphone outputs is available with individual volume controls and an A/B source select for DJ-style cueing. Upon registering the interface at behringer.com, a complimentary download code for the full version of Tracktion DAW software is provided. Audio Technica AT2020 Cardioid Studio Condenser Mi..
CAD Audio GXL2200BP Large Diaphragm Cardioid Conde..